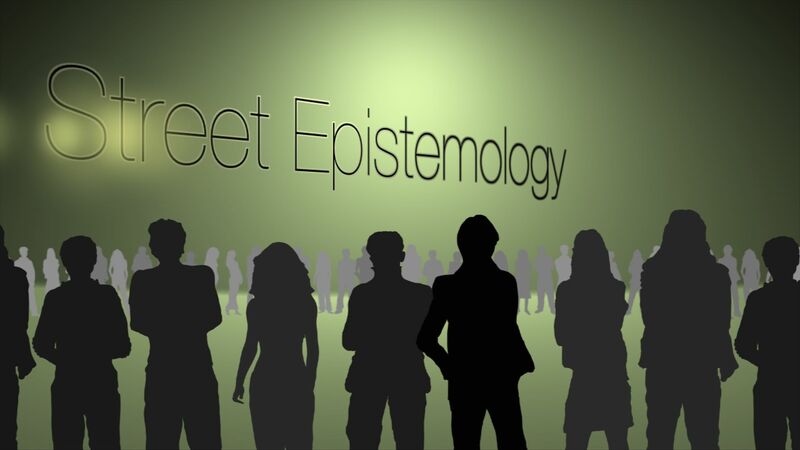 Street epistemologists are trained to ‘talk people out of their faith.’ That can mean many things and go in many different directions depending on what theists know about their beliefs and why they believe what they believe. That tweet brought hundreds of atheists and street epistemologists to FaithandSelfDefense.com and many of them began to engage me in what I recognized as an ‘intervention’ to talk me out of my faith. Recognizing when a ‘discussion’ is really an ‘intervention’ is very helpful in Faith Defense, but that’s the beginning of being ‘on guard.’ In addition to knowing ‘why’ street epistemologists want to talk with Christians (to talk them out of their faith), we also need to know ‘what’ they will do and say and ‘how’ they will do it. We know that street epistemologists are targeting young people on college campuses because many of the street epistemology videos are shot on college campuses and they are trying to talk college students out of their faith. Here’s a quick review of how they do it. The examples of street epistemology shared above are based on an atheist responding to a theistic blog post. The theist presents a case for God and the atheist responds using some of the basic methods of street epistemology. Things change when atheists start the conversation (aka ‘intervention’) on a college campus. They will often ask questions similar to – ‘Tell me about your ‘god’ belief.’ That’s the beginning of the attack on a younger person’s ‘faith’ in God. The street epistemologist won’t voluntarily reveal their atheism and may not answer the question if asked. It’s important to their method to hide their identity from the theist. Conceptual Clarification Questions — Why are you saying that? What does this mean? How does this relate to what we’ve been talking about? Can you give me an example? Probing Assumptions — What else could we assume? How did you choose those assumptions? How can you verify or disprove that assumption? What would happen if … ? Probing Rationale, Reasons and Evidence — Why is that happening? How do you know this? Can you give me an example of that? Are these reasons good enough? How might it be refuted? How can I be sure of what you’re saying? On what authority are you basing your argument? Questioning Viewpoints and Perspectives — Another way of looking at this is …, does this seem reasonable? What alternative ways of looking at this are there? Who benefits from this? Why is it better than … ? What if you compared … and … ? How could you look another way at this? Probe Implications and Consequences — Then what would happen? What are the consequences of that assumption? What are the implications of … ? Why is … important? How does … affect … ? Questions About the Question — What was the point of asking that question? Why do you think I asked this question? Am I making sense? Why not? What does that mean? “If you remain focused on faith and never succumb to the temptation of hurrying the process by trying to win the argument in an adversarial fashion, you will see him suddenly struck by doubt. The window will be wide open for a microsecond. Say nothing. Allow his brain take in a breath of fresh air. Your job is (almost) done. The seed of doubt and reason has been sown in his brain. Now, it is up to him to decide how he wants to react to the embarrassment of being wrong. If he asks for help, help him. Otherwise, share an anecdote where you surmounted the awkward feeling of realizing a mistake. Street epistemologists use an interview technique known as ‘motivational interviewing.’ This is a technique that is also practiced by medical and psychological professionals and has been shown to be successful in dealing with alcoholics, substance abusers, and people with both health and psychological challenges. In our next edition we will share how Christian parents and grandparents can prepare children to be On Guard for Street Epistemologists. For me the most important step is to have a biblical understanding of faith as trust in the faithfulness of a person, namely God (and of the early witnesses to what He did). This is not only important in terms of “street epistemology”, but for growing in our faith. If faith was only about certainty about certain facts, it would remain static as long as the facts don’t change or no new facts become known. But in a relationship, the more I learn and experience the trustworthiness of the other person, the more faith I have in that person and his word. From just talking to atheists over the years I have seen this strategy at work. Thanks for posting, very informative.